Pohutukawa will chase more Group One success for Godolphin in the Vinery Stud Stakes at Rosehill. 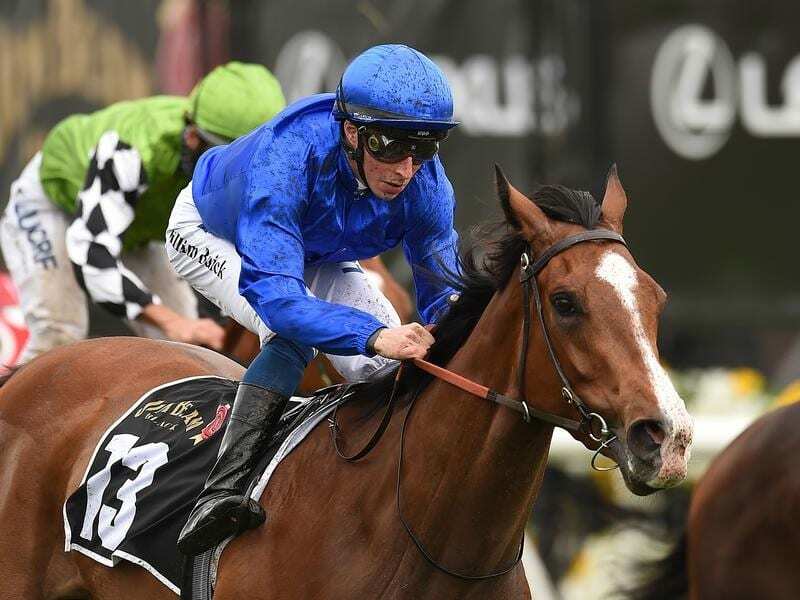 A week after celebrating back-to-back Group One wins at Rosehill, Godolphin is set to continue its big race momentum when Pohutukawa and Avilius contest feature events at the western Sydney course. Trainer James Cummings had a momentous day at the races last Saturday when Kiamichi led home a Godolphin trifecta in the Golden Slipper and Avilius returned to his best in the Ranvet Stakes. Avilius will back-up in Saturday’s $1.5 million Tancred Stakes (2400m) while Pohutukawa will attempt to add another Group One to the stable’s list of majors in the Vinery Stud Stakes (2000m), a traditional lead-up to next month’s ATC Australian Oaks at Randwick. The filly produced an eye-catching first-up run when third to Nakeeta Jane in the Light Fingers Stakes and closed late behind the same filly in the Surround Stakes. Cummings stepped her up to a mile in the Kembla Grange Classic and she outclassed her opposition to win, earning a return to town and another shot at Group One level. “She looks to be crying out for the 2000 metres after a storming Group Three victory over 1600 metres last time,” Cummings said. “We were all gushing with praise for her effort, but she again has to rise to the occasion against much more proven fillies here.” Verry Elleegant has opened favourite for the Vinery on the back of two good runs for new trainer Chris Waller, including a last-start victory on a heavy track in the Phar Lap Stakes. Pohutukawa is on the next line of betting at $6, ahead of Nakeeta Jane ($6.50) who had been dominant in fillies’ grade before taking on the males in the Randwick Guineas where she finished third to The Autumn Sun. Cummings will take a strong team to Rosehill including Kiamichi’s half-brother Cossetot, who lines up in the Group Two Tulloch Stakes (2000m) and class mare Alizee in the Emancipation Stakes (1500m). Alizee strung together a trio of wins before finishing third to Mystic Journey in the All-Star Mile at Flemington two weeks ago and looks astutely placed. Cummings’ only concern is the track conditions with Rosehill rated heavy on Wednesday. “The drop back in class to a set weights and penalties race here is in her favour but the track needs to improve rapidly for her to be comfortable,” Cummings said. Alizee has won on soft ground but finished unplaced at her only start in heavy conditions.